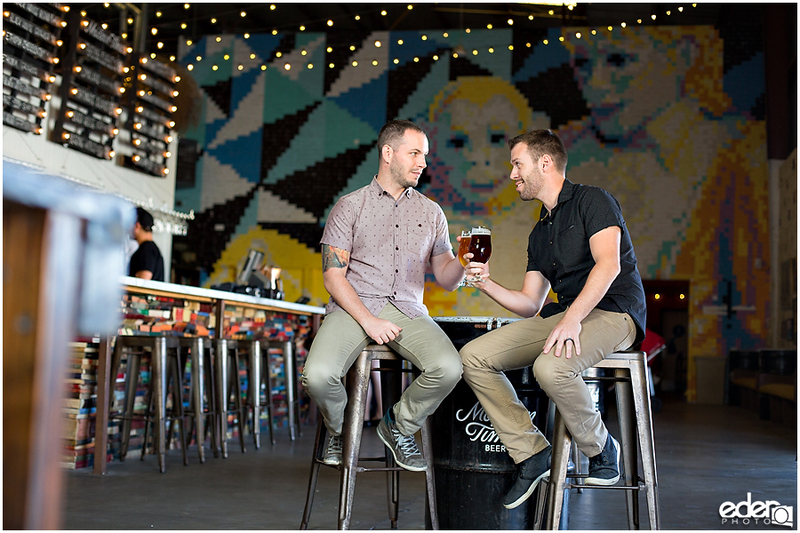 Ben and James love craft beer and do some home brewing. 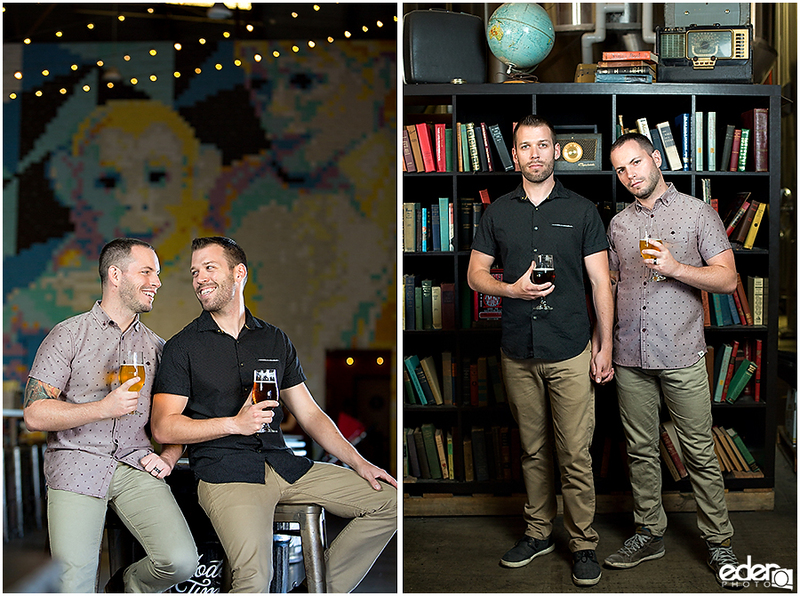 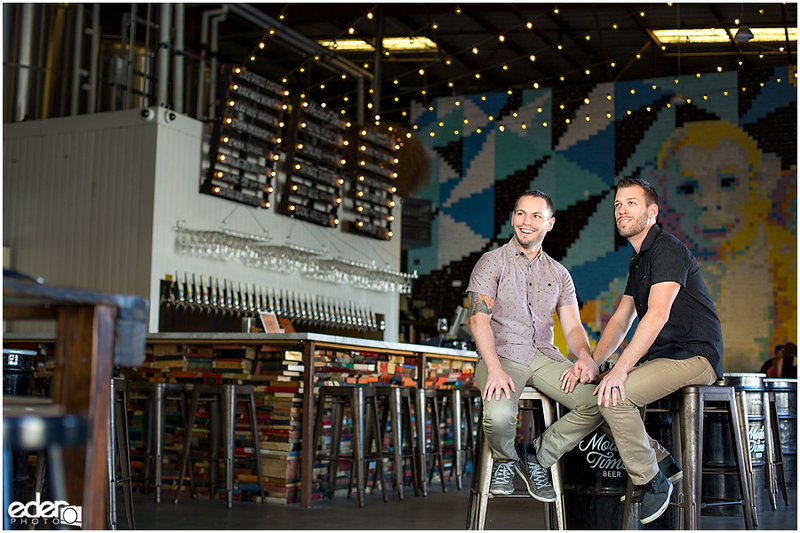 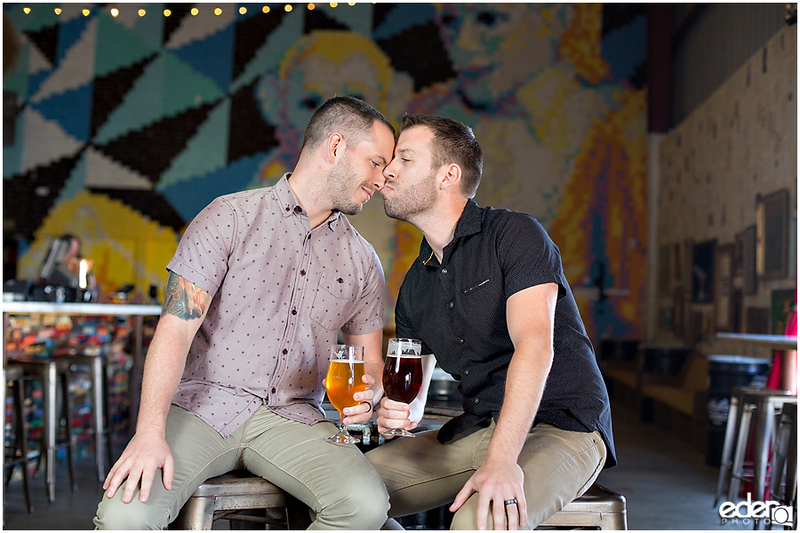 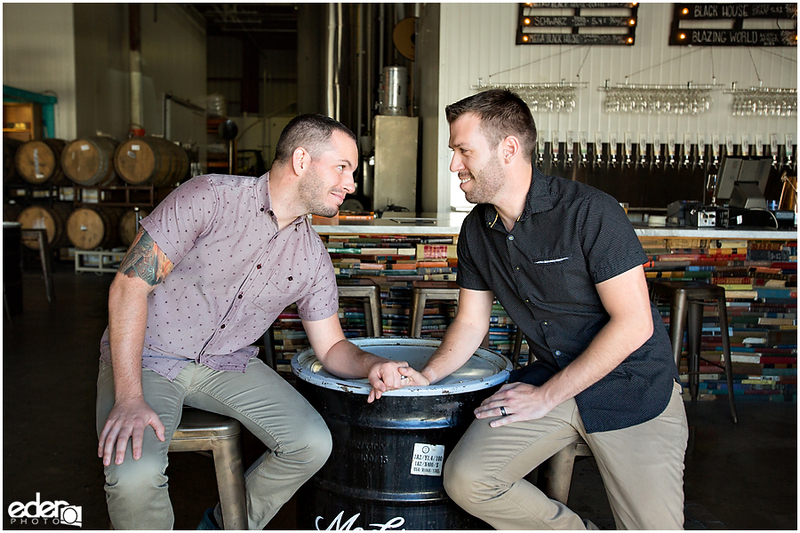 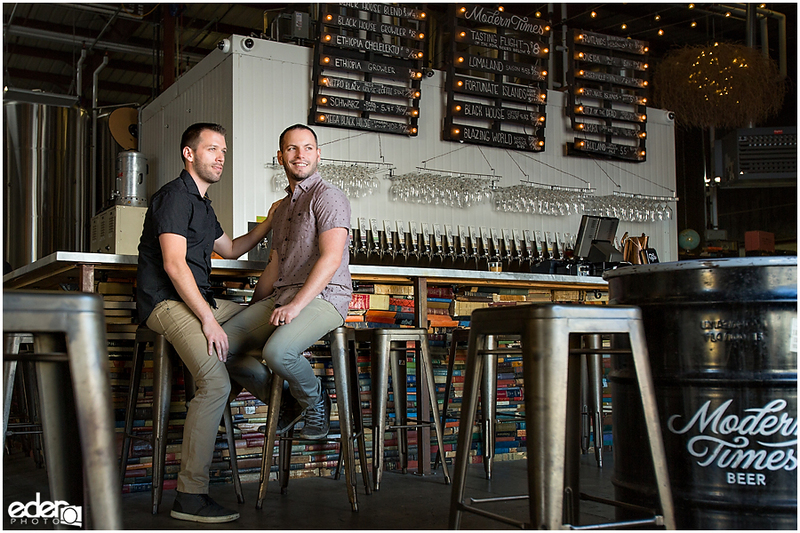 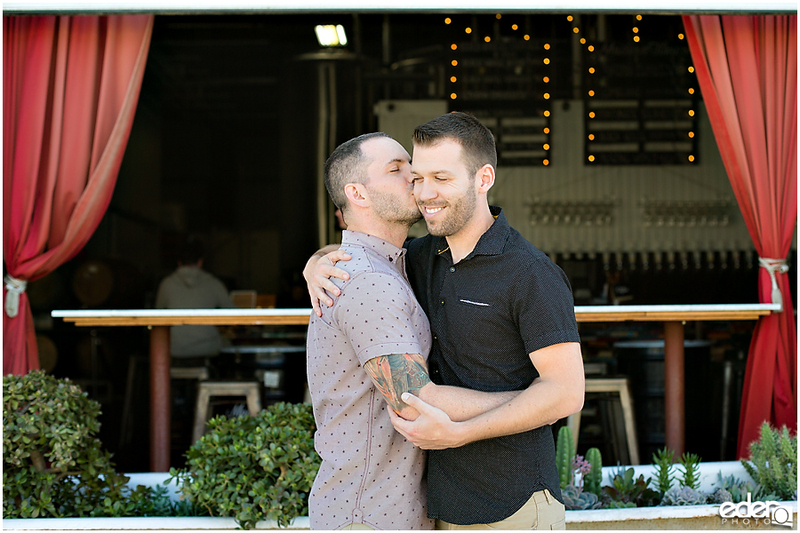 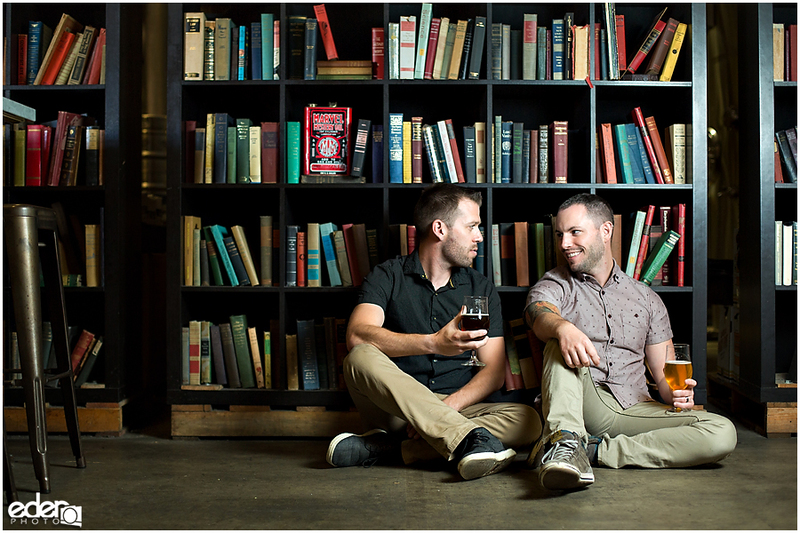 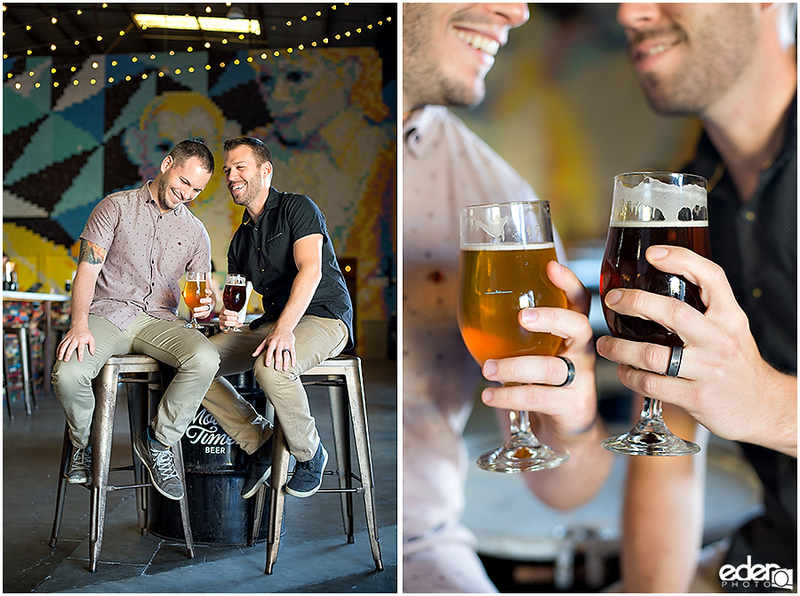 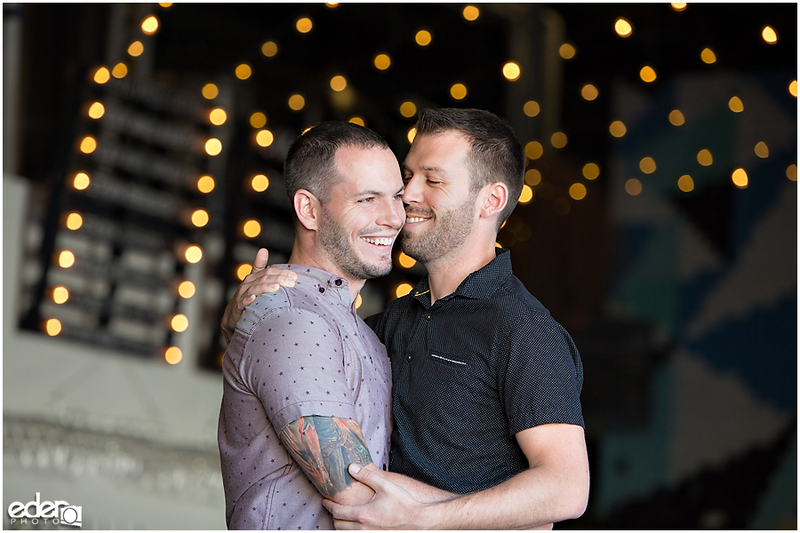 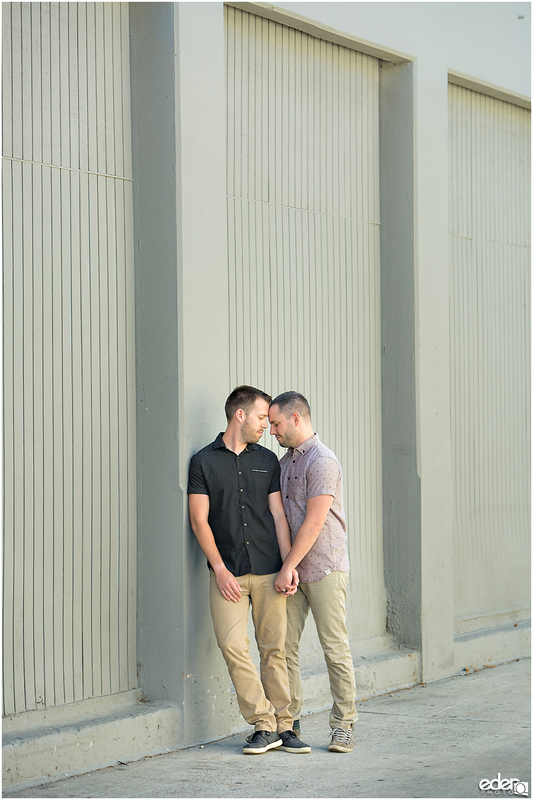 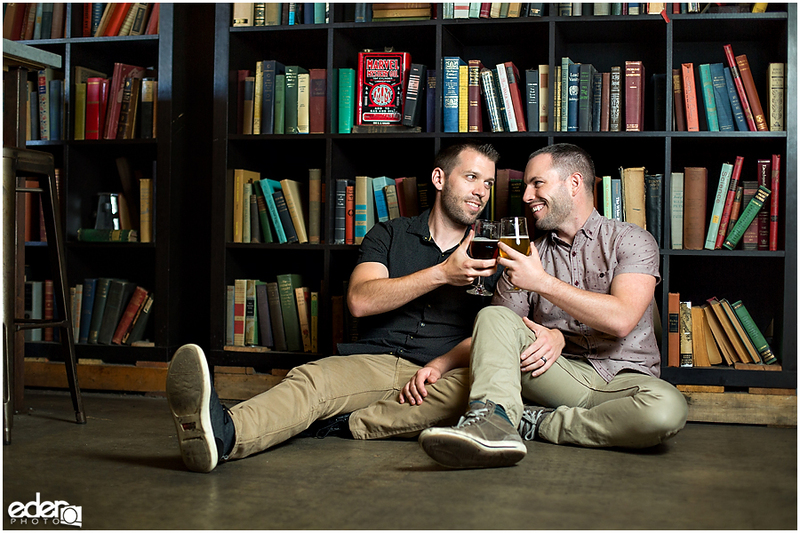 It seemed like doing a Modern Times Engagement Session was the perfect fit for them. 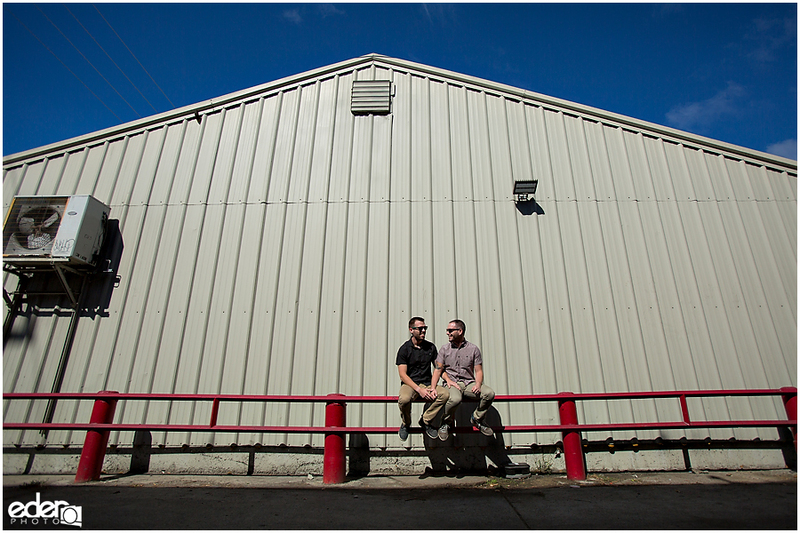 There are places that are worth going to just to look at the design. 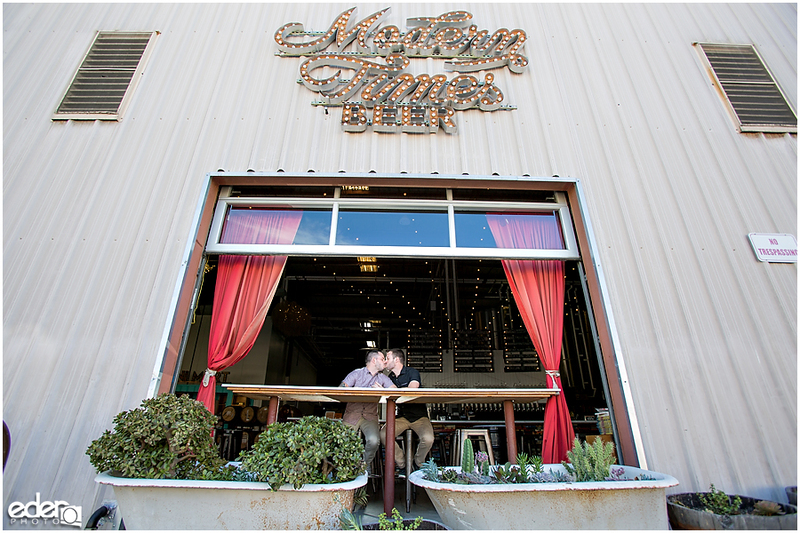 The Modern Times tasting room is one of those places. 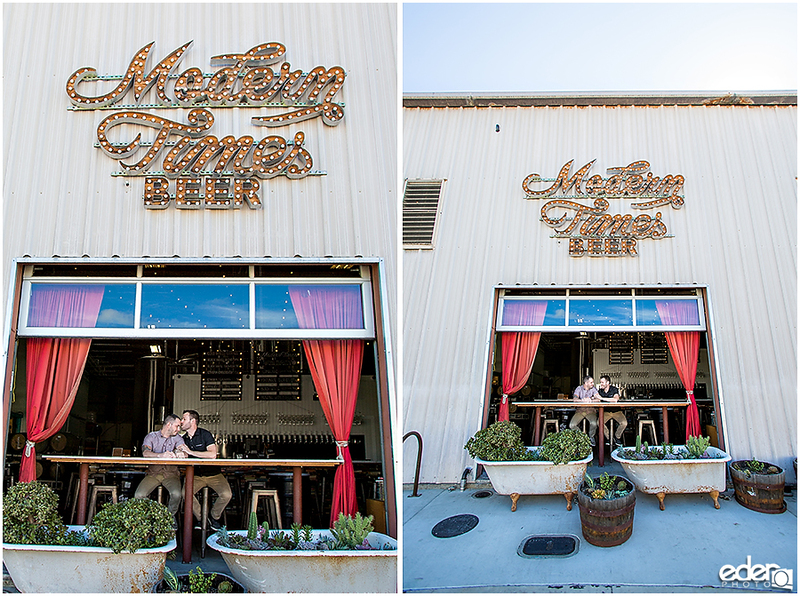 There are so many details that make it a great looking brewery. 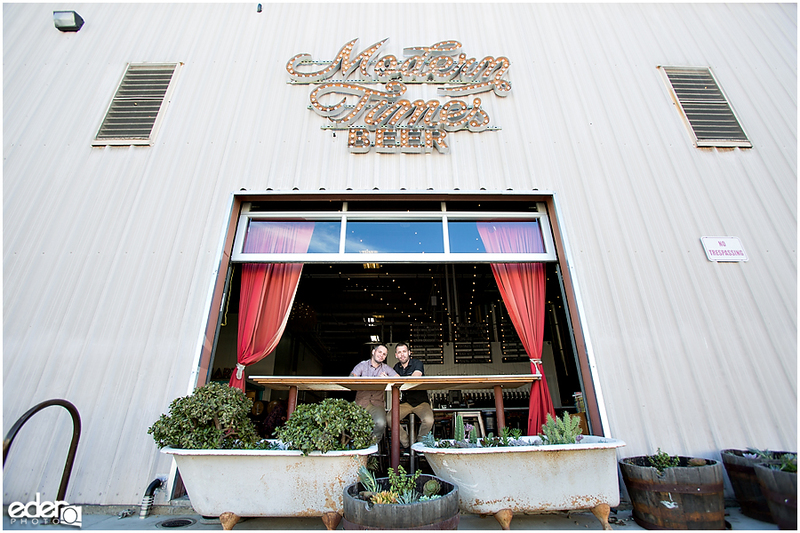 There is market lighting, a giant post-it wall of Michael Jackson, red drapes on the roll up door, some book shelves, and cool signage throughout. 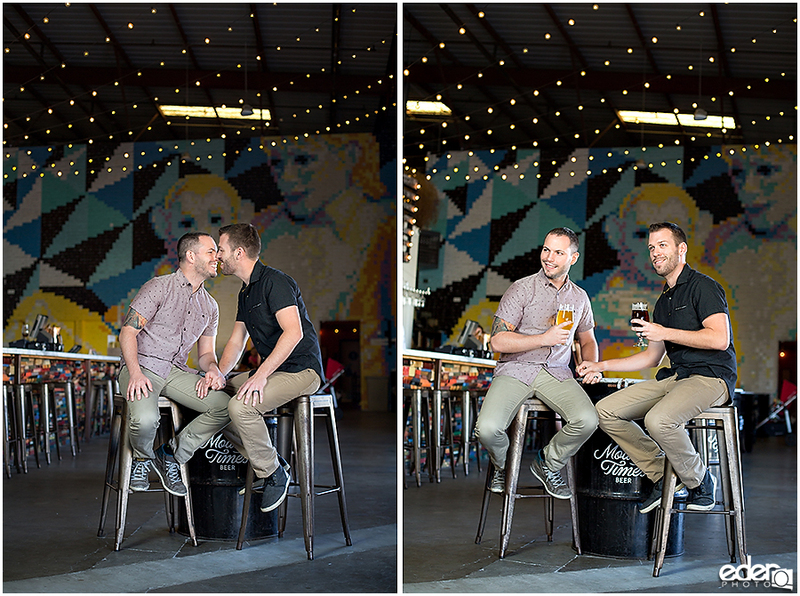 With most breweries, I feel like we are lucky if we can get one awesome looking background. 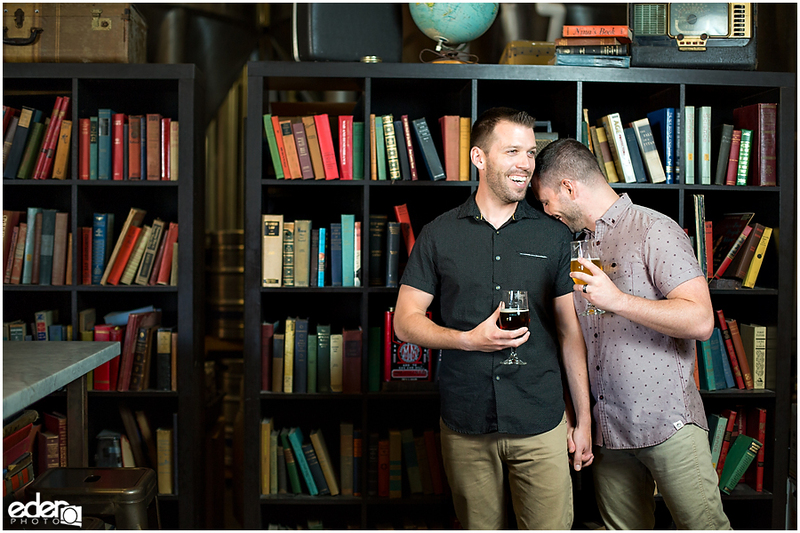 With this tasting room, there was plenty to pick from. 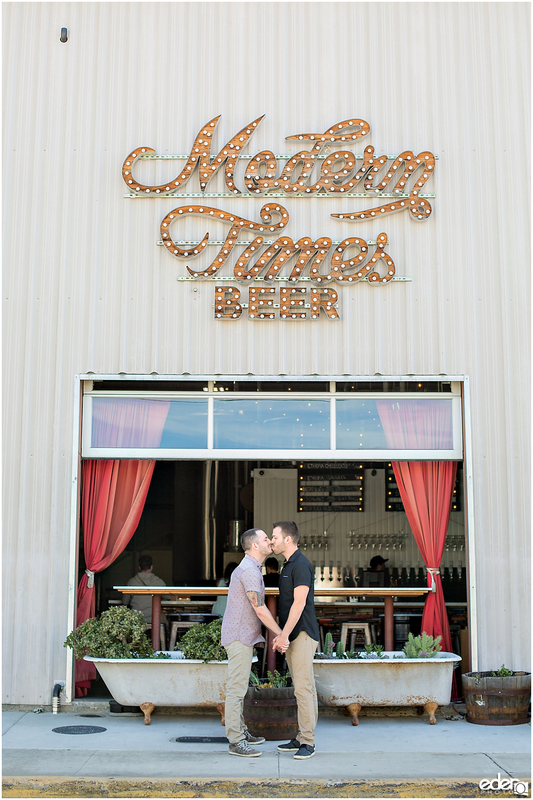 I also liked that we picked Modern Times because the philosophy of the brewery reminds me of Ben and James. 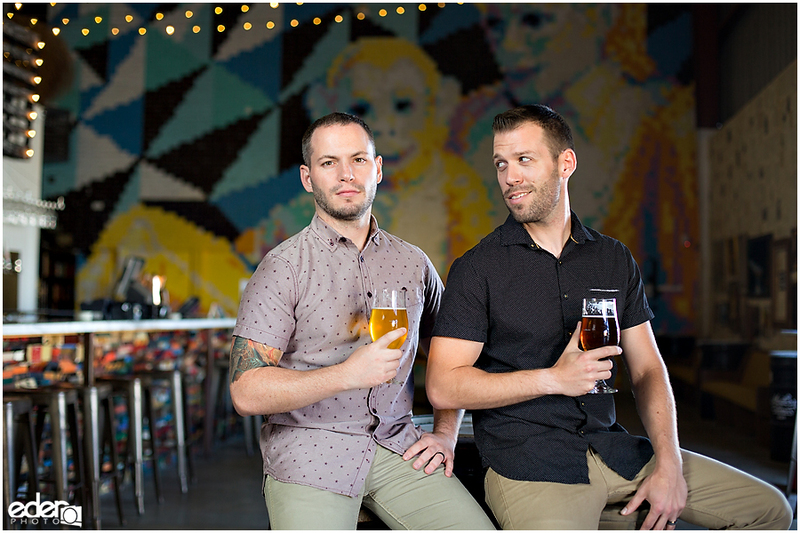 The brewery is known for creativity, excellence and taking features from the norm and making something completely unique. 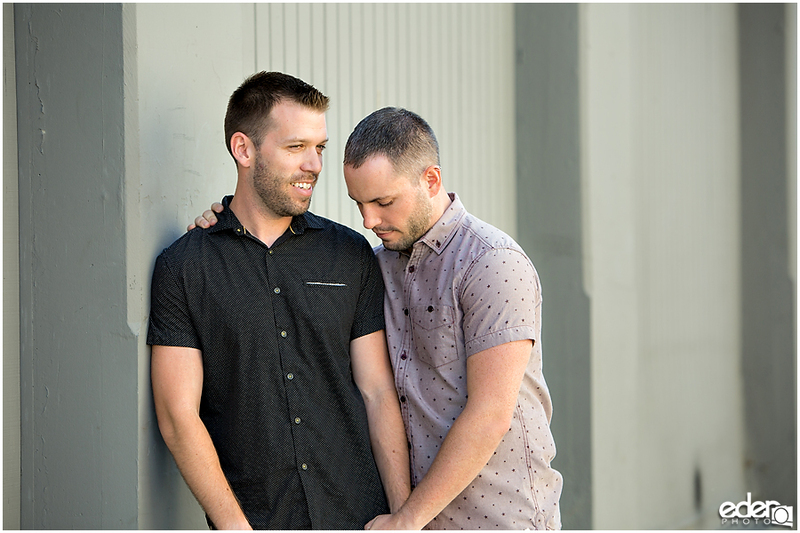 While I’ve only got to spend a few hours with them so far, I feel like Ben and James are two creative modern guys that excel in life. 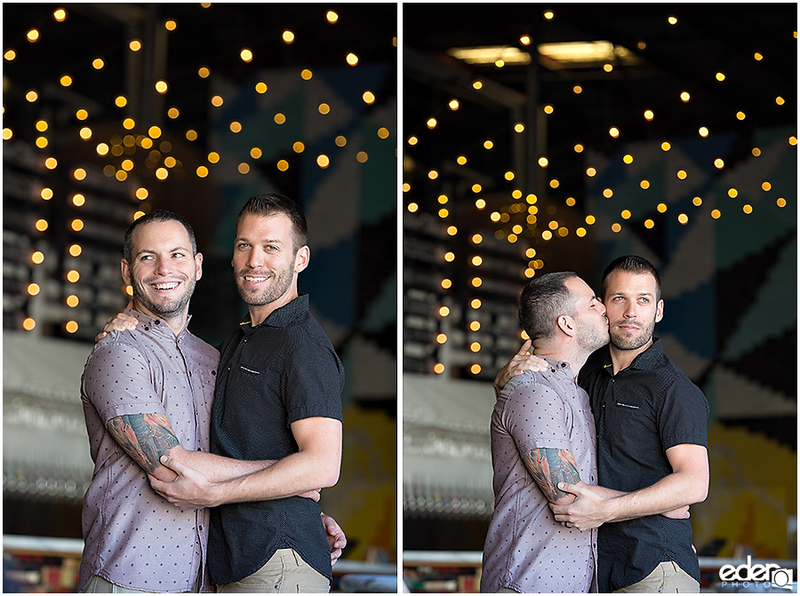 They both work in fields that require some creativity. 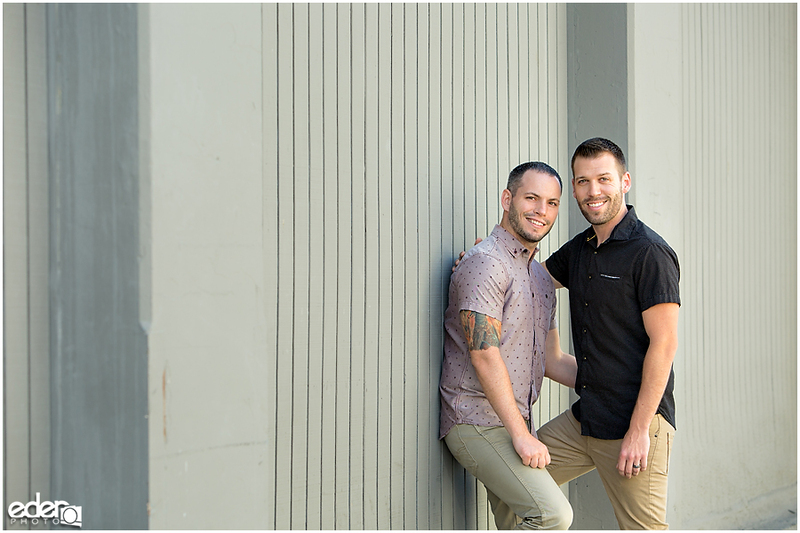 They carry themselves with confidence but are friendly and approachable. 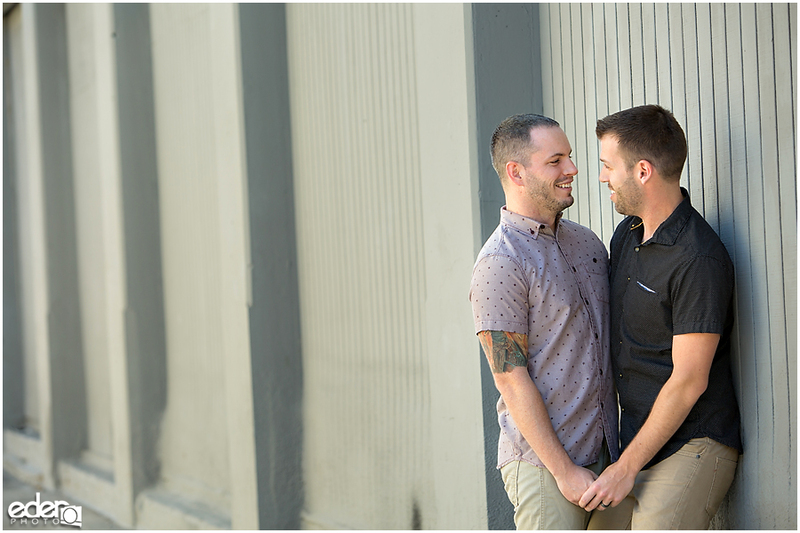 Their modern love beams when they look at each other. 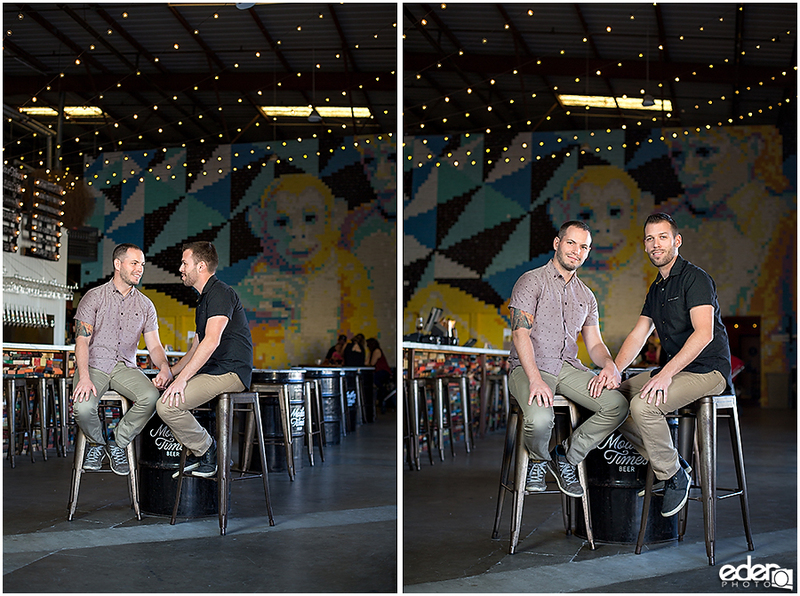 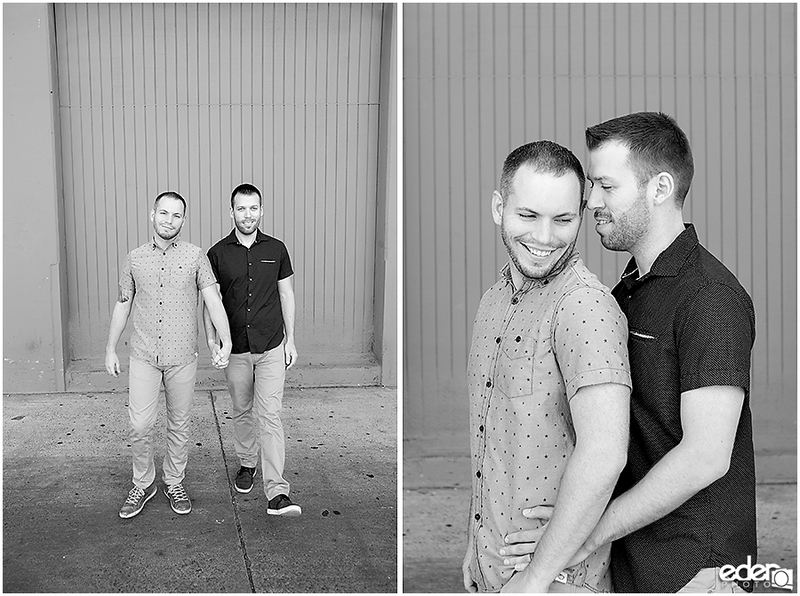 I am happy that I got to meet Ben and James and I look forward to capturing their wedding next year.